One historic coast. Three unique museums. The three North Carolina Maritime Museums preserve, protect and present North Carolina’s coastal history. They paint a picture of the history and maritime culture that includes fishing, boat building, piracy, decoy carving, life-saving, war, underwater archaeology, shipwrecks, boating, the seafood industry, and marine life, science and ecology. Each of the museums is unique, and offers year-round public programming, and free admission. Donations are appreciated. The North Carolina Maritime Museum began as a collection of natural history specimens in the U.S. Fisheries Laboratory on Pivers Island, N.C. circa 1904, but did not become the North Carolina Maritime Museum in its present incarnation until 1984.The Harvey W. Smith Watercraft Center was added in 1992. In July of 1997 the North Carolina Maritime Museum was transferred from the N.C. Department of Agriculture to the N.C. Department of Cultural Resources. In late summer and early fall of 1999, the N.C. Maritime Museum expanded operations to include branch museums on Roanoke Island and at Southport. In February 2007 the North Carolina Maritime Museum in Roanoke was transferred to Roanoke Island Festival Park. Also in 2007, the Graveyard of the Atlantic Museum was brought into the Department of Cultural Resources. 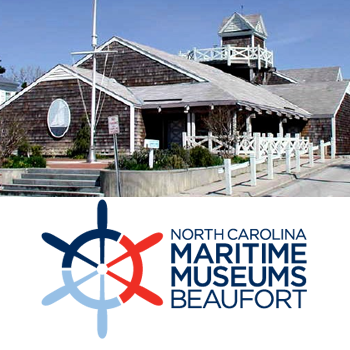 The new maritime museum system now is comprised of the Graveyard of the Atlantic Museum in Hatteras, the North Carolina Maritime Museum in Beaufort and the North Carolina Maritime Museum at Southport. 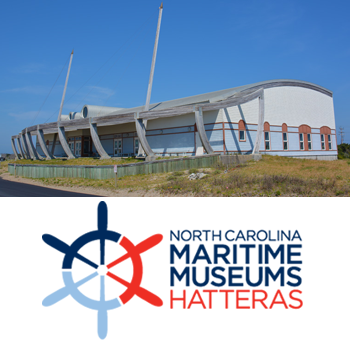 Today, the North Carolina Maritime Museums are part of the North Carolina Department of Natural and Cultural Resources. One historic coast…Three unique museums!